A 29.68 kWp solar array on the roof of Fiddlers Lane Primary School in Irlam. Fiddlers Lane has generated over 59,000 kWh of clean energy since the solar array was switched on in September 2016. See how much it’s generated this week. A 28.62 kWp solar array on the nursery and hall roofs at Irlam Primary School. 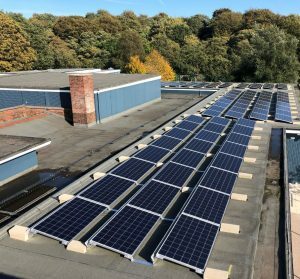 Irlam Primary has generated over 50,000 kWh of clean energy since the solar array was switched on in October 2016. See how much it’s generated this week. 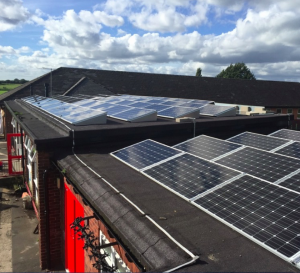 A 29.68 kWp solar array on the roof of Primrose Hill Primary School in Ordsall. Primrose Hill has generated over 49,000 kWh of clean energy since the solar array was switched on in October 2016. See how much it’s generated this week. 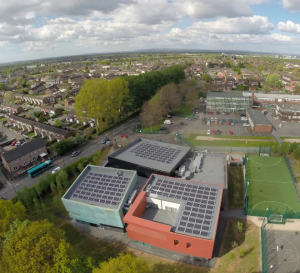 A 49.82 kWp solar array on the roof of The Fuse, a community centre in Partington. The Fuse has generated over 86,000 kWh of clean energy since the solar array was switched on in February 2017. See how much it’s generated this week. 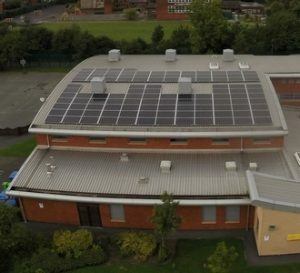 A 49.68 kWp solar array on the roof of Peel Hall Primary School in Little Hulton. Peel Hall has generated over 9,000 kWh of clean energy since the solar array was switched on in September 2018. See how much it’s generated this week. 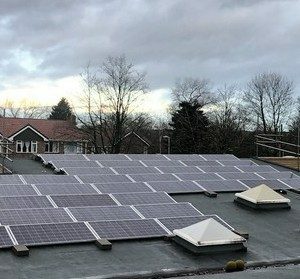 A 29.7 kWp solar array on the roof of Broadoak Primary School in Swinton. 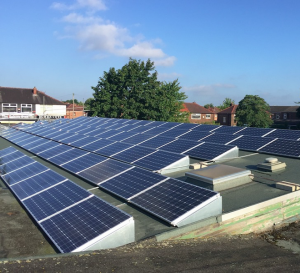 Broadoak has generated over 1,500 kWh of clean energy since the solar array was switched on in February 2019. See how much it’s generated this week.